ITSM providers should begin laying the groundwork needed for AI now to ensure their solutions can adapt. Our home lives are increasingly filled with a proliferation of smart devices and apps designed to meet our needs and answer our whims almost instantaneously. Services such as Alexa and Siri mean that simply speaking aloud will instantly fetch information or fulfil a task. This trend at home is reflected in the professional world, with workers beginning to expect the same instant gratification for their workplace needs, and accordingly self-service and automation have become essential for all IT service desks. The next phase of this evolution is the advent of artificial intelligence-powered services that not only meet our requests but learn to anticipate our needs by analysing our individual preferences. While the technology is still nascent, AI has become a major focus in most fields. 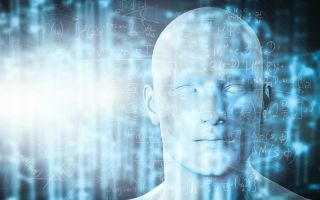 Leading analyst house Gartner predicts that 30 per cent of CIOs will have investing in AI as one of their top five priorities by 2020. As AI-powered solutions become more common, the service desk industry will likewise have to adapt to reflect the workforce’s expectations around responsive, predictive support for workplace requests. Despite the common expectation set by decades of sci-fi, we won’t be seeing independent, self-realised artificial intelligences just yet. Instead, current AI technology is all about analysing complex information to learn, identifying patterns, and drawing conclusions – all much faster than a human mind. The end result of this process is usually to automate and vastly speed up activities that would take a human many hours of repetitive work. In IT service management (ITSM), AI is beginning to automate both routine and non-routine tasks carried out by IT technicians, giving them more time to carry out other activities that deliver more value. One of the most obvious applications for AI in ITSM is to power virtual assistants with natural language processing and machine learning. These capabilities will enable a service to interact with people using normal human language, observe patterns, build data models, and recommend actions. Although the technology is still developing, ITSM providers cannot afford to ignore the advance of AI and should start laying the groundwork now if their solutions are to adapt and keep up with the new, AI-powered archetype. Information is the lifeblood of any application of AI, and a steady supply of rich, consistent and abundant data is essential. This requirement has fuelled a change in the way organisations develop, collect and share information, with a growing emphasis on well managed and maintained knowledge that will be easy for a solution to read and learn from. Building and optimising a store of data is a considerable undertaking, so IT teams should begin establishing strong knowledge management practices now in preparation. Including data from third party solutions as well as internal systems will provide even more insight, so it’s also important to establish external interoperability with APIs. Providing a self-service offering to users has been a leading trend in ITSM for several years, with solutions such as searchable web portals and how-to guides giving users the chance to gather knowledge and solve problems directly, saving time for themselves and the IT team alike. The implementation of AI will greatly enhance self-service provisions, with web portals that can better anticipate user demands, and interactive, intelligent chat bots. Indeed, a survey conducted by Enterprise Management Associates (EMA) found improvement of end user experience via mobility, self-service, and bots to be the leading priorities. Organisations that already have a focus on developing self-service channels are naturally better equipped to deal with an AI-centric future. IT teams with existing self-service portals can experiment with AI implementation by adding a simple chatbot or virtual agent to a few choice use cases. The more users engage with these test bots, the better they will learn and develop, so teams can use gamification to offer incentives for users to try them out. Fully realising the potential of AI requires large scale, iterative changes to the interconnected systems behind ITSM. This can be challenging, as ITIL (Information Technology Infrastructure Library), the most common ITSM framework, is very effective for established systems but tends to be too rigid to support rapidly evolving environments. Instead, agile or lean frameworks such as DevOps, which are geared around experimentation and exploration, are a much better fit for bringing in AI. The agile method takes a more iterative approach with smaller, more frequent changes which make it easier to experiment without unnecessary risk. At home, most people have grown used to using a single smart device for everything, effortlessly shopping online, setting music playlists and contacting friends with a few deft swipes or spoken phrases. Consequently, we are increasingly expecting the same unified approach in our professional lives. Workers are no longer distinguishing between IT, HR and finance matters, and want all their needs met in a single system. This means that a combined offering that encompasses all of the business’s service needs in one place has become increasingly valuable. Organisations that don’t yet have a combined offering can test the waters by finding a high value business department that needs a service portal, automation, and reporting, and automate these processes with the existing ITSM solution. If the platform isn’t flexible enough to accommodate these new demands, it’s a strong sign that it’s time to explore new solutions that will be able to cope with a unified service offering. While AI is still in the early stages of practical application for most fields, it cannot be denied that the concept has finally stepped beyond sci-fi fantasy and into everyday, grounded reality. Few industries can afford to ignore this trend, and least of all those like ITSM which centre on processing information and finding solutions as efficiently as possible. Those ITSM providers that have begun laying the groundwork through stronger knowledge management, self service and agile practices will be well placed to lead the industry in the next few years.